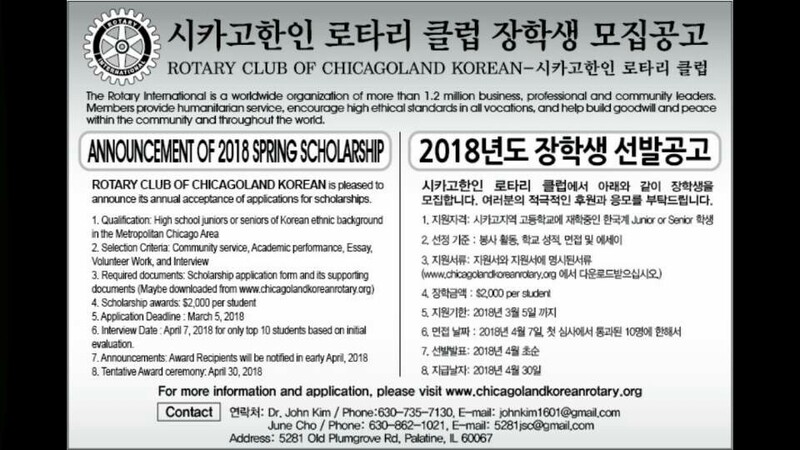 ROTARY CLUB OF CHICAGOLAND KOREAN is pleased to announce its annual acceptance of applications for scholarships. 6. Interview Date : April 7, 2018 for only top 10 students based on initial evaluation.